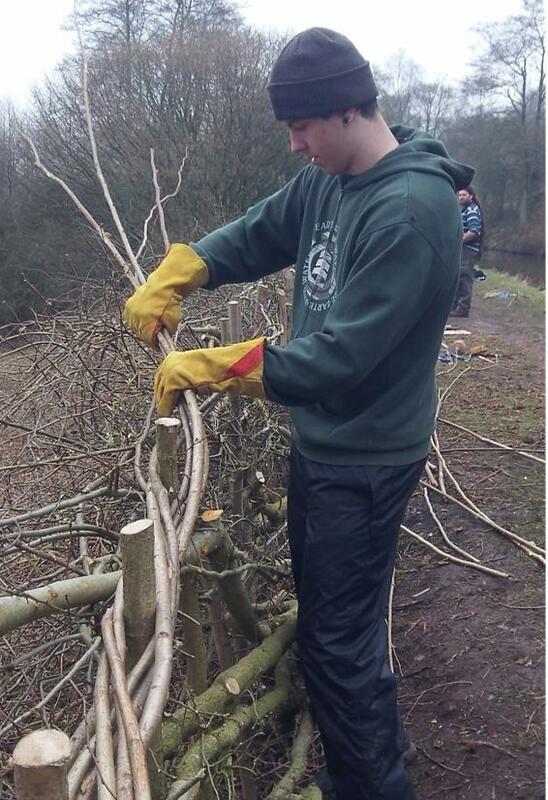 The Churnet Valley Living Landscape Partnership is offering a two day hedge-laying course at Tittesworth Reservoir on the 27th and 28th of February. Traditionally, hedges were laid to maintain stockproof field boundaries whilst allowing valuable wood fuel to be harvested. It also produces thick, bushy hedges that are great for wildlife. Loss of laid hedges in the Churnet Valley has been identified as a factor in reducing our local landscape quality. By learning this traditional skill you can participate in the reinstatement of some of these historic rural features. The course costs £40 for the two days, and runs from approximately 10am to 4pm each day. You do not need any previous experience, you just need to wear suitable outdoor clothing and footwear and bring a pack lunch. All other equipment and tools will be provided.